Alarm Lock has expanded its Trilogy T2 Series electronic standalone access locks. Standalone Trilogy T2 electronic keyless access locks provide vandal-proof all metal keypad and longest-life battery operation, lock models have a rugged clutch and fingertip tool-free programming, plus feature BHMA Grade-1 installation. 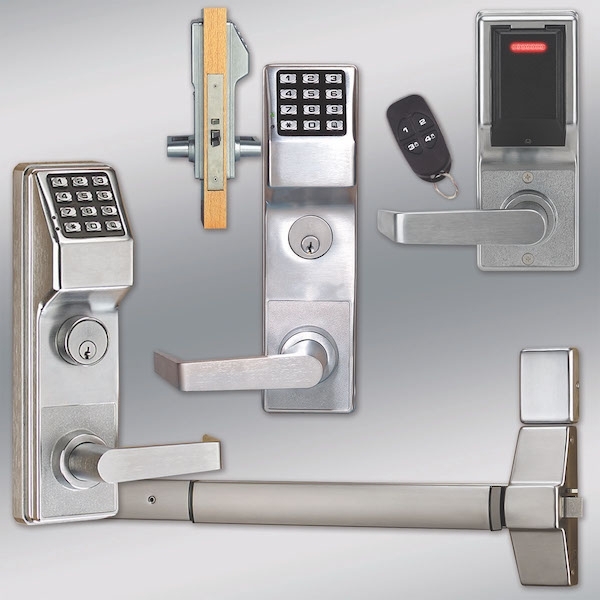 The Trilogy T2 series now includes the DL2700 standalone digital cylindrical lock; new DL2700LD cylindrical lock with lockdown, suitable for schools and campus security with remote keyfob and bright visual lockdown indicator bar; and new mortise locks for high-security mortise locking, in either DL2700 CR classroom or DL2700DB deadbolt functions.